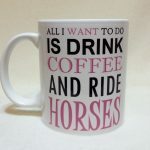 Printed Personalised mugs for all! 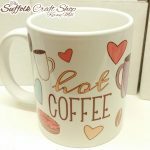 Here at the Suffolk Craft Shop near Hadleigh we now produce our very own professionally printed mugs and personalised mugs. 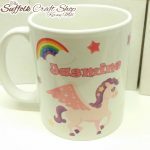 With a range of designs from unicorn and comic mugs for the kids to elegant or funny mugs for the adults we have something to suit all. 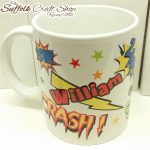 We can even personalise the majority of our mug designs with a name or message for you for that extra touch. 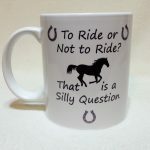 Funny Horse Mug Design – To Ride or Not to Ride? 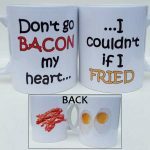 Can’t see a design that you like? 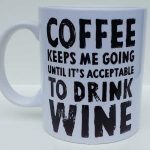 – No problem! 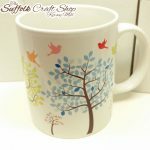 Let us know the design you have in mind and we will design it for you. 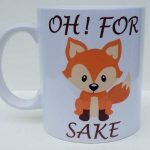 Fancy having your own drawing on a mug? 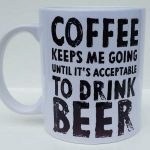 – Well you can! Simply draw your design on paper in a box measuring 200mm x 90mm. 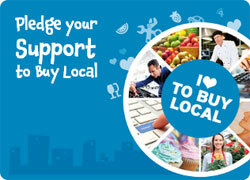 You can then either post us your design, bring it in to our shop or scan and email it to us. 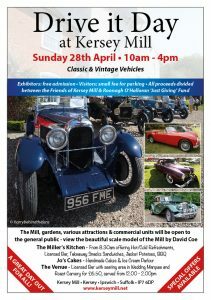 If you are scanning your image in please scan at 300 dpi. 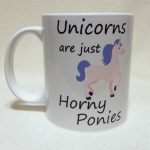 We will then transfer your drawing onto a mug for you. 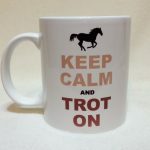 Fancy having your own photo on a mug? 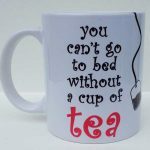 – Well you can! 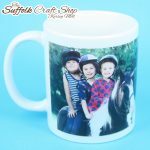 Send us your photo and we can print them on a mug for you. 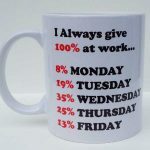 We can even print your mug while you wait. 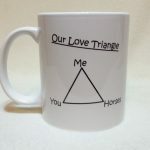 Weather your chosen drink is tea, coffee, hot chocolate or juice, we are sure to have a mug for you! 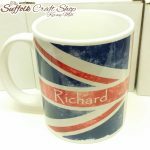 Our personalised mugs are professionally printed here at The Suffolk Craft Shop and make great gifts and keep sake for loved ones. 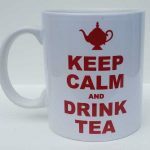 Order on-line and either have your mug posted or pick you mug up from The Suffolk Craft Shop, Kersey Mill, Hadleigh, Suffolk, IP7 6DP. 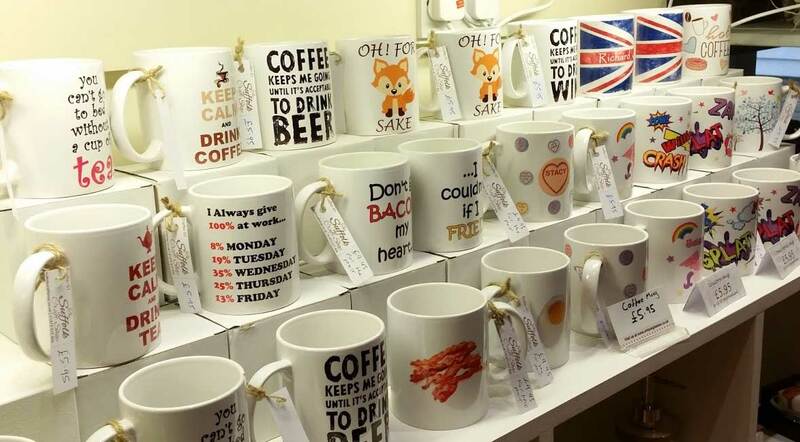 Pop in to our shop and pick a mug straight from our shelf. 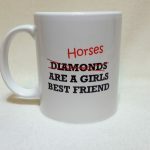 If you wanted it personalised we can print it while you wait as long as we are not to busy. 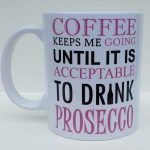 Looking for a personalised glass instead of a mug? 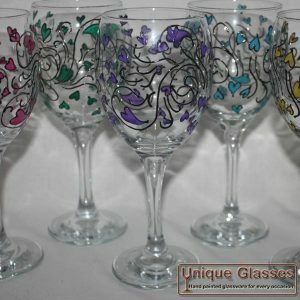 Check out Unique Glasses – hand painted glassware for all occasions! Unique Glasses also show case their items at The Suffolk Craft Shop so feel free to pop on by to take a look at the glassware in person.